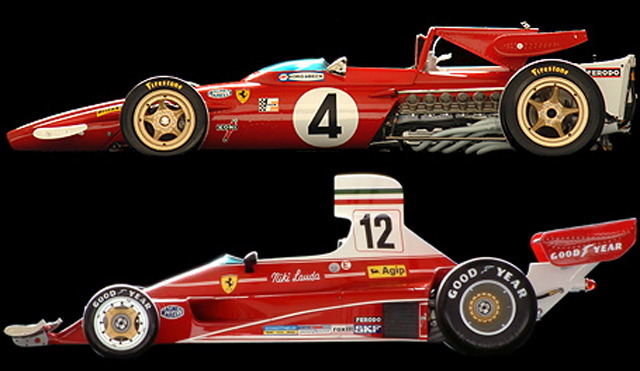 We have had the privilege in the past to design and edition two iconic and historic Ferrari Formula 1 cars, under license from Ferrari. The 1970 312B and the 1975 312T. These were manufactured in resin and white metal in scale 1:8 with a meticulous attention to detail as befits the subject. Please note, these models are no longer available.